Our production begins on December 21st, 22nd, and 23rd, 2017 at 7:00 pm, so dress warmly. It can get cold in December so come prepared. You will be sitting on hay bales which are very comfortable, but some people like to bring blankets to sit on. Our amphitheater has stadium seating so every seat is a good one. There is plenty of parking, however, many people arrive by 6:30 pm to get as close as possible. We typically host around 1500 people per night. Concessions are available and include hot drinks, kettle corn, and more. 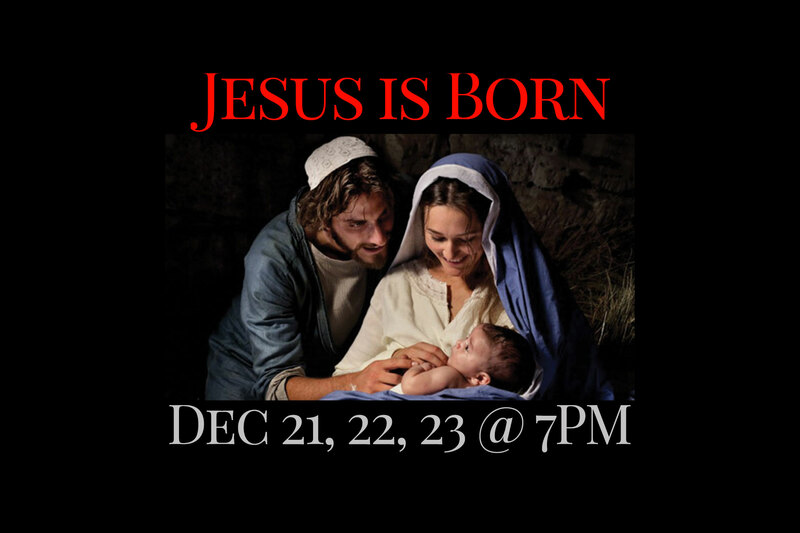 Join us for 3 Nights of wonder, music, live animals, and a cast of over 100 people presenting to you the greatest story ever told, the birth of Jesus. 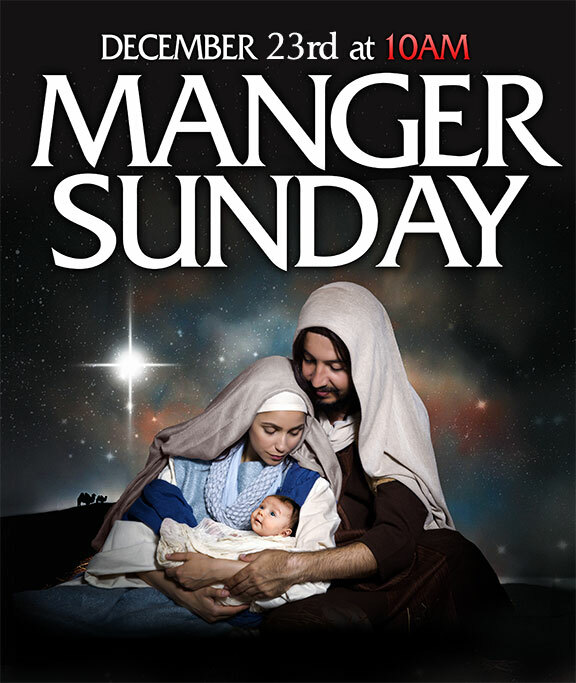 Told in a way that brings the traditional Christmas Nativity story together with a modern interpretation of Christmas that everyone can enjoy. People are filled with awe as Mary gives birth to the Savior of the world, and thrilled when Santa kneels at the manger to honor baby Jesus. Watch as angels appear in the sky to announce the Savior’s birth, and experience the power of Jesus as an adult healing the sick and bringing salvation to a lost world. There is no charge for the presentation as it is our gift to the families and community of Yuma. Your tax-deductible donation will make it possible to continue to have events and experiences like Jesus Is Born and the Pumpkin Patch for years to come for our military and their families, border patrol, agricultural community, our winter family, and all those God brings. Each year, Champion enjoys the favorite service of the year, our outdoor Manger Sunday! Starting at 10:00 AM. Breakfast is available at 9:00 AM. All 3 services come together for one combined gathering celebrating the Birth of Jesus. Share Jesus Is Born with your friends by clicking one of the social media buttons below, or just let us know you love Jesus is born by clicking the heart in the first button!